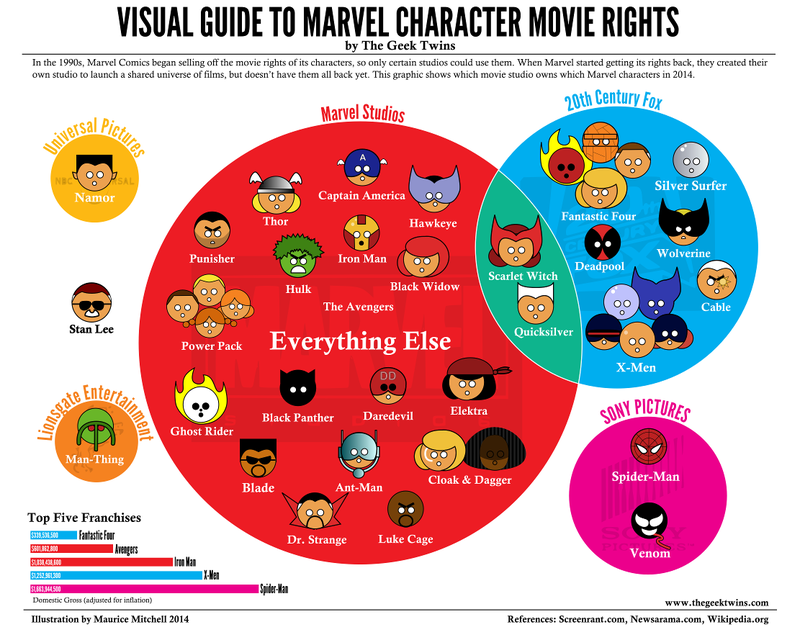 If you're not a professional nerd, it can be tough remember which studios have the rights to which Marvel comics characters, especially since Marvel Studios only has some. So the Geek Twins have made this handy (and adorable) chart to help you keep 'em straight. I totally forgot Universal had Namor. Get on that, guys.